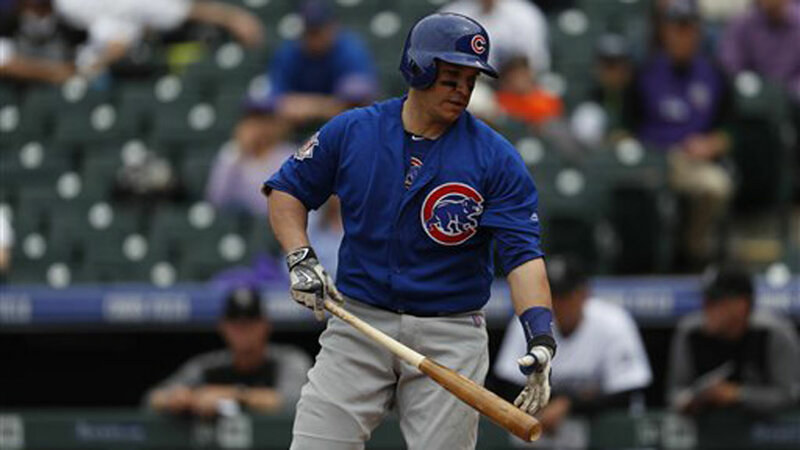 CHICAGO (WLS) -- The Chicago Cubs have designated Miguel Montero for assignment Wednesday after the catcher's criticism of pitcher Jake Arrieta following Tuesday's loss to the Washington Nationals, according to ESPN Chicago's Jesse Rogers. Miguel Montero blamed pitcher Jake Arrieta for allowing seven stolen bases in a 6-1 loss to the Washington Nationals. According to Major League Baseball, when a player's contracted is designated for assignment, or DFA, he is immediately removed from the team's 40-man roster and within seven days he can either be traded or placed on irrevocable outright waivers. If another team claims the player, he will immediately be added to that 40-man roster and can either be optioned to the Minor Leagues or assigned to his new team's 25-man roster. If he clears his outright waivers, he may be sent directly to the Minor Leagues or released. Any player with more than three years in the Major Leagues may reject the assignment to the Minor Leagues and choose free agency. Montero, 33, unloaded on Arrieta for his slow delivery not giving him a chance to throw out baserunners. "That's the reason why they were running left and right today because they know he was slow to the plate. Simple as that. It's a shame that it's my fault because I didn't throw anybody out." Montero, who had an error on a throw to third, said it's frustrating for a catcher to get the ball and see a runner almost to the base. "It was a couple times I didn't even try to throw because it was no time, it was no chance to throw nobody (out) there, so why am I even going to make a throw?" Montero said. "It really hurt me. He hurt me. I feel like I can still throw, like I got a good arm, my arm feel great. I just try to be quicker, I try to be perfect and to make those two together, it's hard to do." Arrieta, who issued a season-high six walks and allowed six hits in four-plus innings, said he doesn't care who's behind the plate because Turner's a threat any time he gets on. Manager Joe Maddon said the Cubs "let the wrong guys on base," but his battery Tuesday night didn't help. "It's an imperfect situation," Maddon said. "It's not about the move to first. It's about time to the plate more than anything. He's a little bit slow. ... It's something that he works on." "It's frustrating because it seems like nobody really care about it," Montero said. Cubs first baseman Anthony Rizzo fired back at Montero, calling his comments "selfish" in an interview with ESPN 1000. Wednesday afternoon, Montero took to Twitter and said it was an honor to play for the Cubs and win the World Series and thanked the fans and city of Chicago.